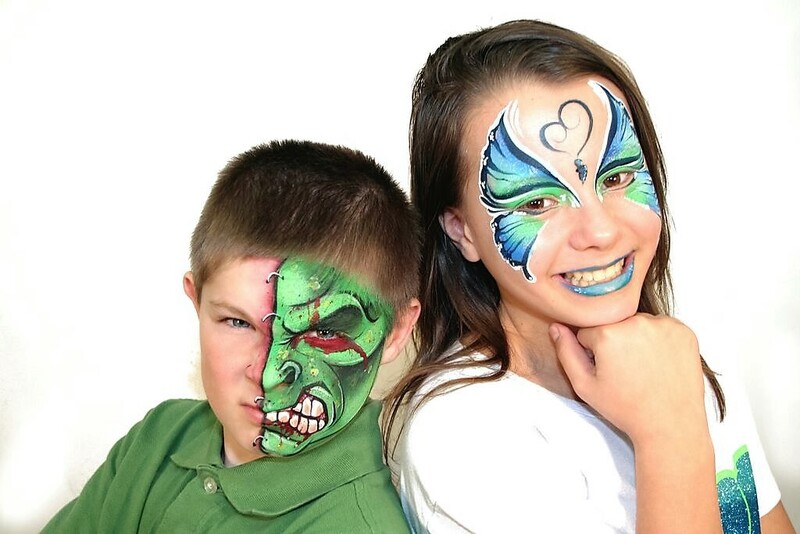 For added entertainment at events, a fantasy face painting show is great fun for children and adults alike! It is a great way to add GLITZ and Color to any festivity. Only the finest theatrical, hypoallergenic, water-soluble, and FDA compliant face make-up is used. Adding cosmetic grade glitter and jewels are incorporated as a finishing touch to designs … they add a special effect. Your guests will say, WOW! 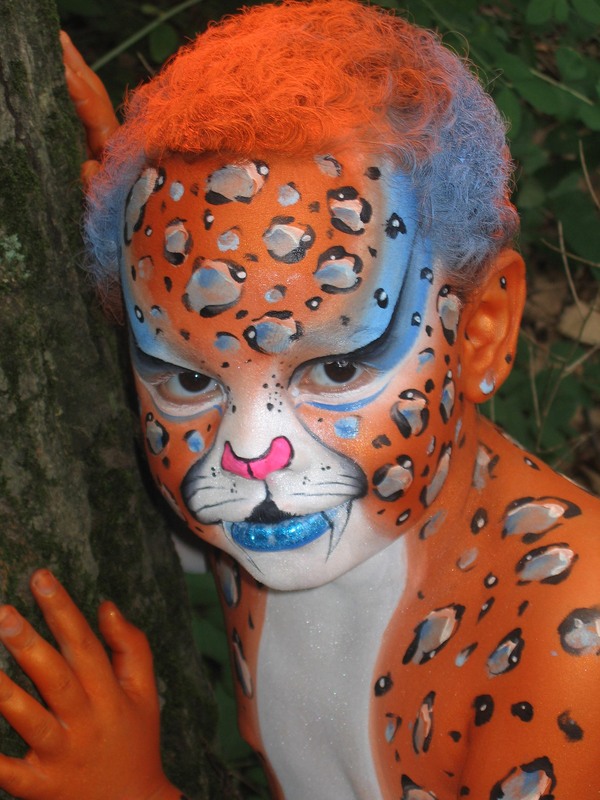 Changing Faces specializes in Fantasy Face Painting. And it really does not take much longer than standard cheek art! With this show spectators watch each participan’ts fantasy turn into reality. It’s MAGICAL for them to watch the guest’s faces painted so that they are transformed to resemble a tiger, butterfly, Spiderman, or princess … This is a HIT with the guests, and appeals not only to children, but to teenagers and adults as well. Special designs are available for the adults. For a little Extra Fun add the Carnival “Style” Crazy Hair Session! A GREAT ADDITION to face painting is our CARNIVAL STYLE HAIR! It’s All About FUN! So add some more EXCITEMENT to your event by including “Crazy” Carnival Style Hair. It is a COLORFUL, FUN and EXCITING way to add whimsy to any festivity. Alone or as a complement to our fantasy face painting, Crazy Hair will make your event MEMORABLE! Vibrant temporary Colored Hair Sprays, Glitter, and lots of Fun Accessories are put into the hair to give each guest a WILD & CRAZY LOOK! This is SO MUCH FUN …. IT’S JUST CRAZY!!!!!!!!!! All hair color is TEMPORARY and rinses out after the first washing. Please note that this activity is only available for outdoor events. 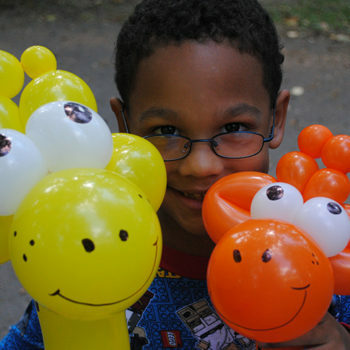 Changing Faces 4 Fun provides event planning and fun family entertainment for both small and large audiences alike. Variety entertainment services provided include amusement park styled face painting, whimsical balloon animals, balloon décor, Clowns, comedy magic shows, amazing storytelling, vibrant temporary airbrush, glitter & henna tattoos, fascinating runway body painting & MORE. @ 2016 Changing Faces 4 Fun - All rights reserved. Site designed by ish Marketing.